There are two new candle ranges: ‘Believe in the Magic of Christmas’ and ‘Christmas Elegance’. Believe in the Magic of Christmas is a fun, light hearted design, with a snow falling over a small village. Instead of using the name of the fragrance, we have used well known sayings and phrases associated with Christmas – such as, ‘Most Wonderful Time of the Year’, ‘Dreaming of a White Christmas’, ‘Let It Snow, Let It Snow, Let It Snow’. Christmas Elegance – is a more colourful yet more traditional label using fragrance names. The whole range is ‘Seriously Scented’. Try for yourself and see. 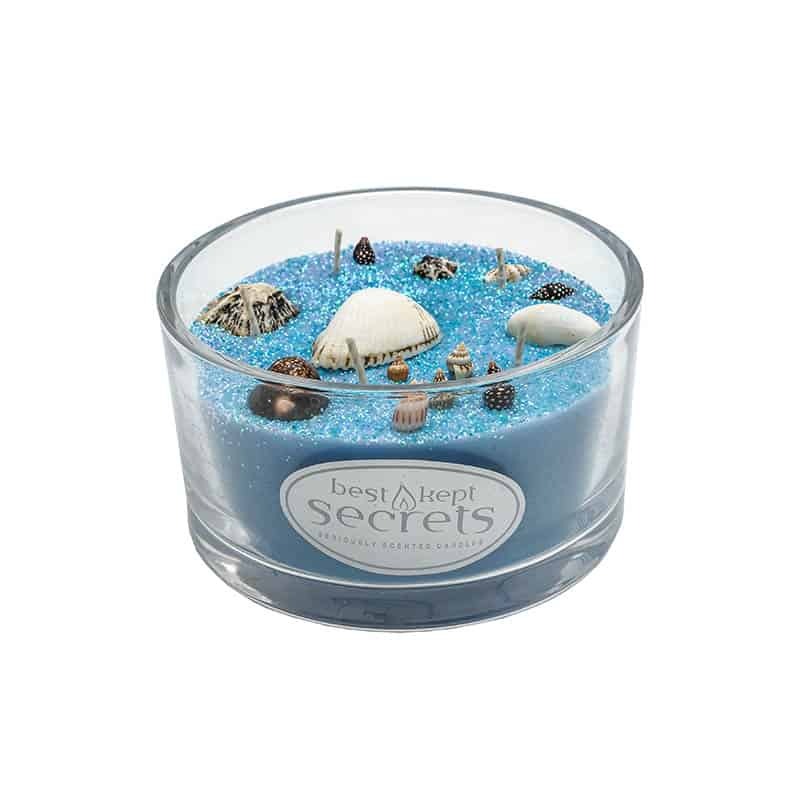 Here at Best Kept Secrets we love Glitter! 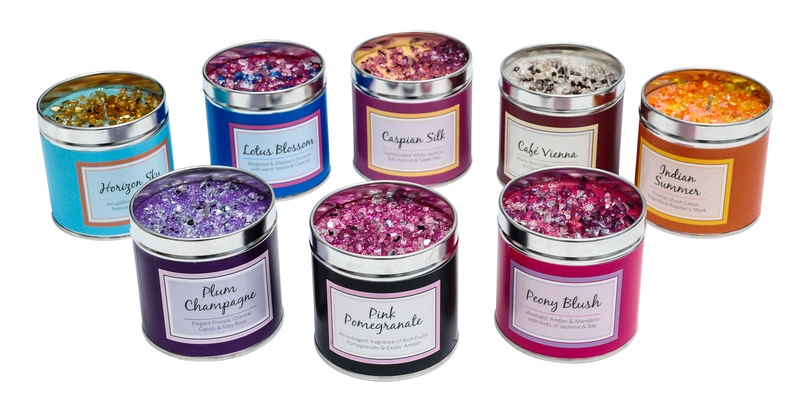 So as well as our candles being Seriously Scented, they are seriously sparkly too!